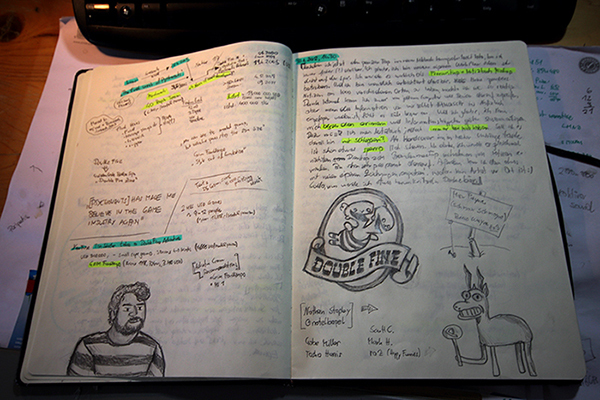 It was the end of June 2012 when I watched Episode 2 of the Double Fine Adventure video documentary and heard about “Free Writing” for the first time. As a big fan of the old-school way of taking notes by simply putting ink (or graphite) on paper, it inspired me to give free writing a try. So I bought a notebook and started to write down everything that came to mind. To be honest, I never managed to “free write” like it’s supposed to be done. 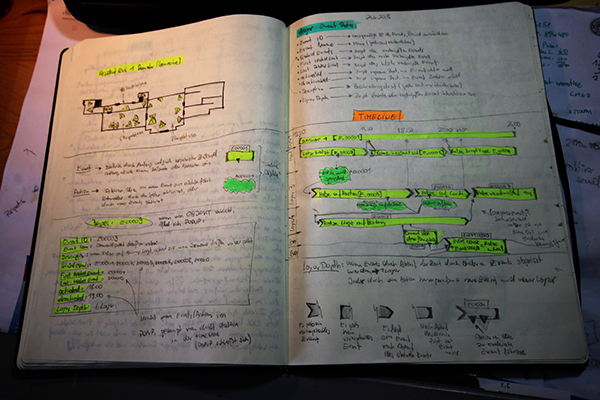 Instead, the notebook became more of a mix of a personal diary, a sketch book, and a notebook (for taking notes) in the classical way. 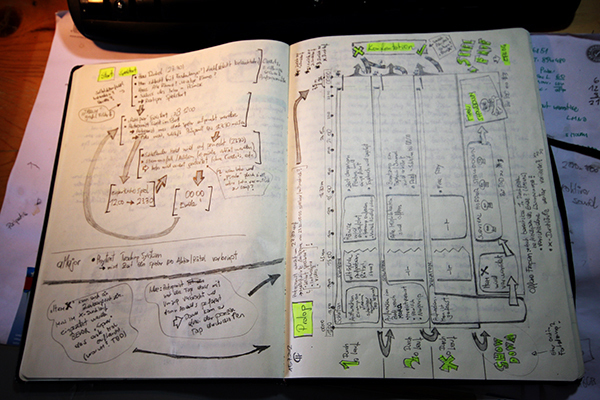 And it’s quite handy for tracking the progress and direction the project takes, too. In my opinion, working on paper is still the best and quickest way to work out ideas. I love working on the computer, too, of course. 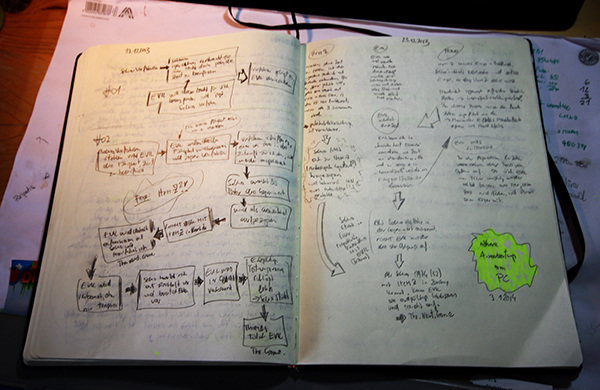 But I think the process of working out and developing fresh ideas is best done on paper. 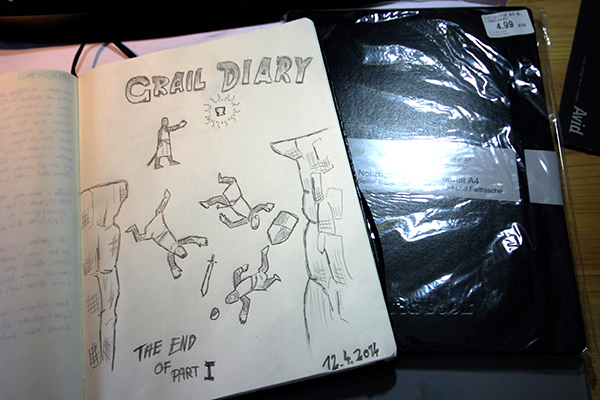 Now, 21 months after I bought the notebook, which I fondly named “Grail Diary”, I finished its last page. 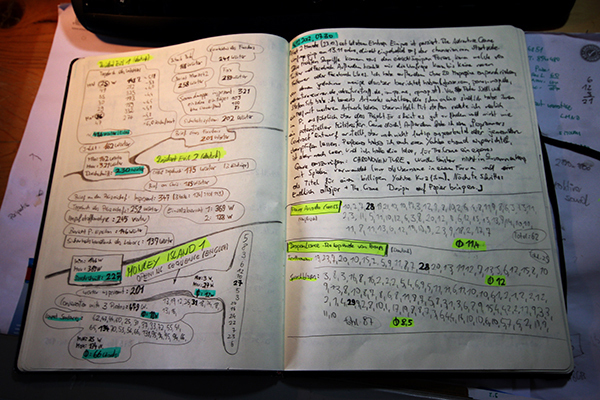 Its successor, the “Grail Diary, Part 2” is already waiting eagerly to be filled with stuff the odd grey mass called “my brain” spills out.